Several employees at Loblaws-owned stores said they've been pressured to push customers to use self-checkout. Loblaws said stores are reintroducing customers to the machines and that they can always go to a cashier instead. Several employees at Loblaws-owned stores said they've been pressured recently to push customers to use self-checkout, driven by a company quest to get more people using the machines. "They're trying to get us to force [customers] to go to self-checkout,"said a cashier at a Shoppers Drug Mart in Ontario. "They've made cashiers feel like if they don't do this, something bad is going to happen." CBC News is keeping employees' names confidential because they fear repercussions from their employer. Their claims follow a CBC News story last week where customers complained they were ordered to use self-checkout at two Loblaws-owned chains: Shoppers Drug Mart and Real Canadian Superstore. At the time, Loblaws stated that it expects stores to always offer customers the choice of checking out with a cashier. But after the story ran, some Shoppers employees said their instructions to lure customers to self-checkout hadn't changed. "I am feeling terrible," said the Shoppers cashier. "I am not comfortable with pushing people to do something they don't want to do." Workers at her store recently received a directive from head office to pull out all the stops to get more customers using the machines, she said, including leading them directly to self-checkout when they're ready to pay. The cashier said she suspects the company's goal is to get customers used to the technology so it can cut cashier jobs. In 2017, Loblaws CEO Galen Weston announced that with the coming minimum wage increases in Ontario and Alberta, the company was rolling out "custom-designed self-checkouts" at Shoppers Drug Marts to help "accelerate efficiencies." The cashier believes the current push has backfired by upsetting customers who dislike self-checkout. "They're freaking out, they're dropping their stuff and ditching their carts," she said. "I've actually had some customers say that they feel bullied." Another cashier at a different Shoppers Drug Mart in Ontario said her supervisors have been pestering employees to promote self-checkout to please head office. "Cashiers are fed up with pushing these machines," she said. "We feel dumb pushing people to use these machines when we have a perfectly functional cash [register] a few feet away." Loblaws said that many of its customers choose self-checkout and that the company recently invested more in its machines and their technology to improve the experience. 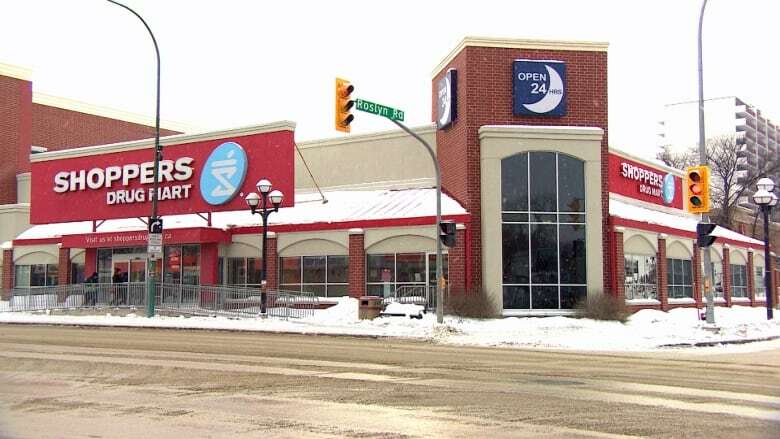 "Now our stores have put an additional focus on supporting customers and reintroducing them to this convenient offering," spokesperson Catherine Thomas said in an email to CBC News. However, she said stores should still always offer a cashier option and that they have already been reminded of this. "That's our customers' and our company's expectation." Shortly after Loblaws sent CBC News its response on Friday, a Shoppers Drug Mart employee reported that the self-checkout push at her store has been nixed "due to the backlash. "I'm relieved," she said. "I hope it stays that way." Shoppers employees aren't the only ones who say they've felt the heat to promote self-checkout. Both a current and a former manager at Zehrs — a Loblaws-owned grocery chain in Ontario — said that the stores' self-checkout numbers are constantly under scrutiny. "I'm feeling a lot of pressure," said the current manager. "It's a struggle to get those numbers up." CBC News reviewed company emails, including one sent to Zehrs managers in November. It applauded stores with a high number of self-checkout users — well above 30 per cent of customers — by highlighting those stores in green. Locations with the lowest scores were marked in red. Another email, sent on March 11, told managers to "Recruit, Recruit, Recruit" customers to self-checkout and, whenever possible, close a cashier lane so the cashier could be free to direct customers to self-checkout. The email also suggested recruiting potential self-checkout customers by building a relationship with them, perhaps by complimenting them on their coat. The Zehrs manager said workers' hours at his store have already been cut back and he fears pushing more customers toward self-checkout will mean further cuts. "You gotta please the shareholders, and I understand that, but you need to please your staff as well." On a conference call last week, an operations specialist at head office had suggested closing all cashier lanes between 7 and 9 a.m. — as one Zehrs store had done — to boost self-checkout numbers, the manager said. However, that idea appears to have been quashed the next day following a CBC inquiry to Loblaws about customers' self-checkout complaints. 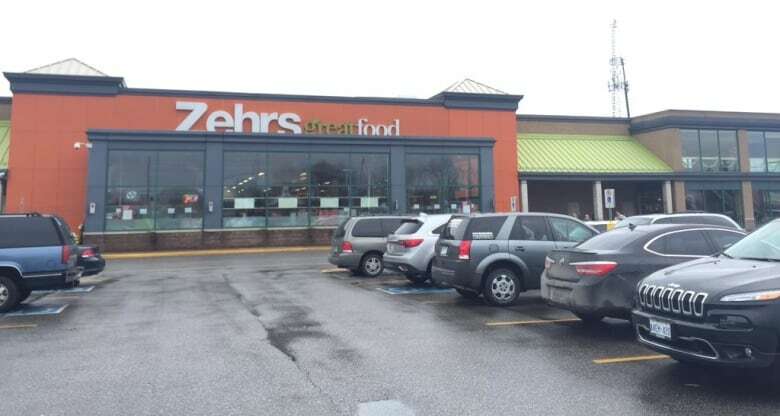 "There has been some negative media regarding our [self-checkouts] and the customers' perspective of being forced to use them," stated the operations specialist in an email sent to Zehrs managers that day. Going forward, she said, stores should always have a cashier lane open "from open to close, with the light on." The Zehrs manager said he's relieved by that decision. "It was them backtracking and realizing: 'Hey, this isn't a good idea.'"